It’s that time of year again! The days are shorter, the weather colder, and we are drawn to the warmth of hearth and home as we head into the busy holiday season. Thanksgiving came early this year, but even so, I usually find that the days between Thanksgiving and Christmas fly by and are filled with a bustle of preparation and anticipation. Holidays mean different things to different people. Perhaps you enjoy moments of quiet reflection and some time off from work, relishing the coziness of your home. Maybe you find yourself involved in a holiday tradition of contributing to charitable causes. If you have small children, you probably experience a whirlwind of activity decorating and shopping for Santa gifts. 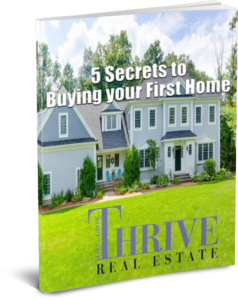 However you choose to observe the season, home is likely where you’ll spend a lot of your time. If you do any sort of entertaining or celebrating, you’re probably going to be juggling a variety of tasks from decorating to party invitations to food preparation to shopping. Everyone operates at a different pace. I have friends who start listening to Christmas carols and digging decorations out of the attic as soon as the first signs of Christmas hit the retail shelves before Halloween has even arrived. And I also have friends who absolutely refuse to think about Christmas until they have savored the flavors and fellowship of Thanksgiving. My advice is to start early and create a checklist so that nothing is left to chance. Shop early for hard-to-find or must-have holidays gifts, especially if they’re being shipped from far away. Unless you thrive on the chaos of the mall on Black Friday, online shopping for key items is a great time saver. If ordering food for a party of holiday meal, it’s always a good idea get your order in as soon as you know your numbers. We have so many great options for catering the area, from a fresh turkey or perfect rib roast from Lowe’s Market in Northborough to entire holiday menus created by Wegmans in Northborough and Whole Foods in Shrewsbury. Wegmans offers menu ideas for Thanksgiving, Christmas, Hanukkah, and New Year’s, including complete turkey, ham, and roast beef dinners. Both Whole Foods and Wegmans also offer vegetarian and vegan dishes for the holidays. My recommendation is that if stores and restaurants are advertising holiday fare, it’s not to early to place an order or make a reservation. The same goes for floral arrangements and holidays centerpieces. If you’re hosting a large holiday gathering or cocktail party for friends or extended family, the Internet is a great resource for determining how much food to order based on the time of day and formality of your event, whether you’re serving drinks and heavy hors d’oeuvres, a casual buffet, or a full sit-down meal. If you’re hosting a cocktail party and planning to do your own cooking, make-ahead finger foods are a must. Appetizers that can be frozen and reheated will save you time the day of the party. You’ll want to make sure to have a mixture of contrasting flavors and textures, as well as a variety of hot and cold items to choose from. Keep in mind your guests’ dietary preferences and allergies; no matter the event, I always make sure to have non-alcoholic beverages as well as at least one hearty vegetarian option on hand when entertaining large groups. Entertaining tip: Belgian endive provides a perfect vehicle for delivering a tasty bite. An endive leaf provides a versatile canvas for virtually any combination of flavors: tarragon chicken salad, curried shrimp, blue cheese and pecans with honey, or my personal favorite – roasted beets, goat cheese, and pistachios with a drizzle of balsamic glaze. These can easily be prepared a few hours ahead of time and they make for a beautiful plate that is sure to impress despite its easy preparation. If you’re hosting a holiday party, be sure to invite your guests early, too! The weekends leading up to Christmas are always jam-packed with work parties, neighborhood potlucks, and other holiday celebrations. Apps like Evite and Punchbowl can make invitations a breeze (I recently learned of Evite’s texting feature), but if you are opting for formal, printed invitations, get your address book in order early and make sure to allow time for printing and delivery. Depending on timing, you might be able to fold the order in with your Christmas cards rather than doing two separate orders. And don’t forget your holiday stamps! Now it’s time to talk about decorating. As I mentioned before, everyone has a personal timeline for decorating for the holidays, but my rule of thumb is that if I’m hosting Thanksgiving, I like to keep the fall theme going through the holiday before switching gears and decorating for Christmas. I like my floral arrangements to reflect the season, and traditional Thanksgiving and Christmas flowers evoke two very different kinds of atmosphere. While some of the scents of the season are similar (cinnamon, baked goods), scents and flavors like apple and pumpkin conjure thoughts of Thanksgiving, while the smells of pine and fir herald Christmas. Personally, I always feel that understated holiday touches are preferable to kitschy conglomerations of Christmas memorabilia, but to each his own. This year consider thinking beyond red and green. Create a golden glow with soft white lights and gold- and silver accents. Keep things neutral with shades of white and ivory and wintry patterns like stars and snowflakes. A blue and white color scheme also embraces the winter season. These color schemes allow for a sense of warmth for the holidays without necessarily committing to any one tradition or faith. In fact, this year’s trendiest holiday color palette embraces purples, blues and greys. Go retro with a 1950s theme complete with tinsel, glass bead garlands, and shiny old-fashioned ornaments – you know the look. Pick up a few strings of retro bulb lights – those now available are much safer than the overly hot bulbs of yesteryear. The Vermont Country Store sells replicas of many mid-century household items and decorations. Or choose an even older era: create a Victorian holiday atmosphere with oversized ribbons and bows, an explosion of pine garlands and floral arrangements, lots of ornamentation, and bold colors like deep reds and greens. Don’t hold back – decorating in the Victorian era was anything but muted! Bring the outdoors inside with live pine boughs and holly, pinecones, and decorations like winter birds, old-fashioned ice skates, and sleds or toboggans. Use lots of natural winter colors like white, dark green, and soft shades of bronze or even smoky pink. Live flowers and plants complete an outdoorsy feel. Highlight the tree with an over-the-top statement. Pastels? Luxe white? Glitzy gold? Who says a tree has to be a plain green pine? Whether you opt for a live or artificial tree, put your own decorative stamp on it according to your taste, whim, or your home’s existing décor. If you love the ocean, decorate with shells and sea star ornaments. Go bold with enormous ornaments and oversized ribbons and bows. Or feature multiple trees in varying sizes throughout your house and decorate each differently. Be minimalist and focus your decorating on understated elegance. Use clear lines and materials like metals and glass to create an air of simplicity. Incorporate lights, ornaments, and candlesticks in modest geometric forms and contemporary shapes. Keep your flowers simple – for instance, a stark presentation of branches in a vase can be very beautiful. Go international with a theme from another country. Decorate your home with orchids – the traditional Christmas flower of Costa Rica. Fill your house with candles and paper lanterns as Colombians do to mark the onset of the Christmas season. Or build a book tree rather than decorating a customary Christmas tree; did you know that in Iceland, people exchange books as Christmas Eve gifts and spend the night in bed reading and eating chocolate? Don’t forget the outside of your home. Curb appeal is a must, especially if you’re hosting. You want guests to be drawn into your holiday home the moment they set foot on your property. 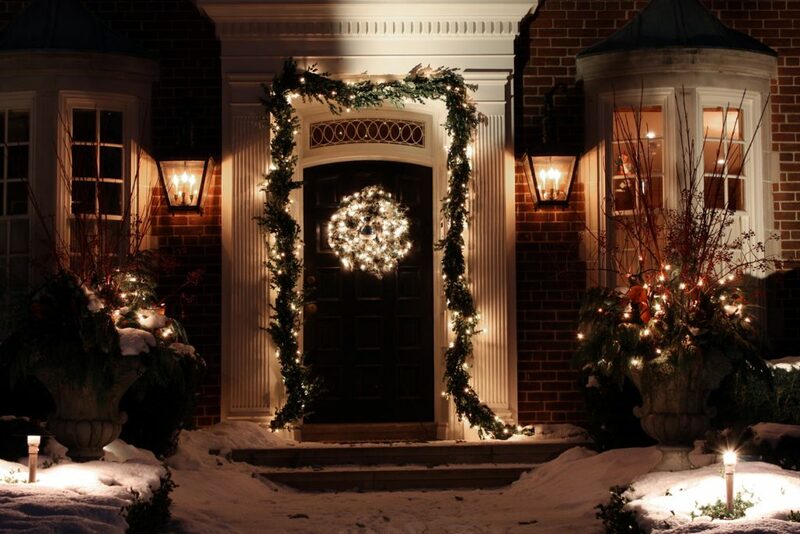 At the very least, make an investment in a beautiful wreath or subdued but welcoming lighting. Holidays and home go hand in hand. But consider this: if you’re thinking about selling, the holidays are an excellent time to list your house. Typically, there are fewer houses on the market during the holiday season, making for less competition with other properties. Houses show well during the holiday season because they exude an air of welcome that is easiest to achieve when a house seems most homey. And what could be homier than the holiday season?